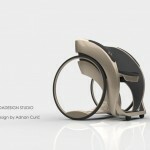 Many designers are trying to come up with unique next generation wheelchair concept in order to fall back on conventional materials and technology. 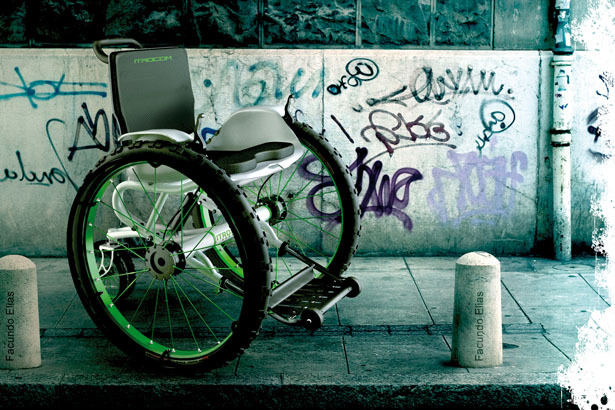 The newest wheelchair design concept by Facundo Elias is worth appreciating. 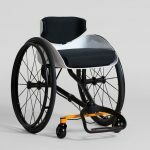 In terms of its overall design, the wheelchair features two large wheels for main support, one small wheel behind and a comfortable leg-resting pad. 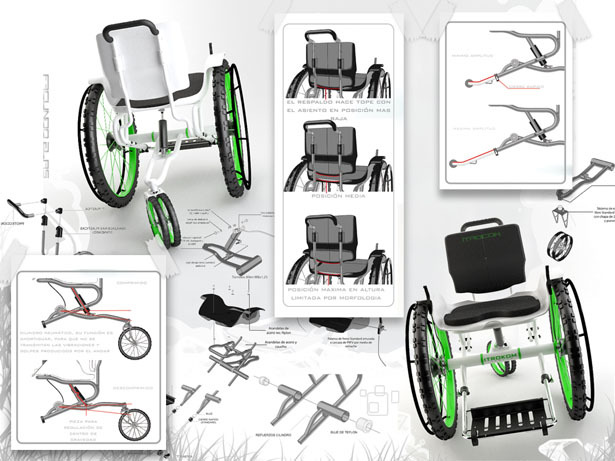 The seat offers real comfort, improving access for caregiver help and as well accommodates various posters that are not provided via existing wheelchair designs. 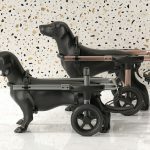 The backrest, seat pan as well as armrest designs are meant to address different postures including stable position for traveling at high speeds as well as prone to standing. 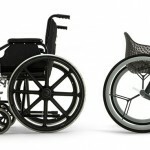 The designer’s efforts are directed at grabbing attention to the requirements, which are not passably addressed in traditional wheelchairs. 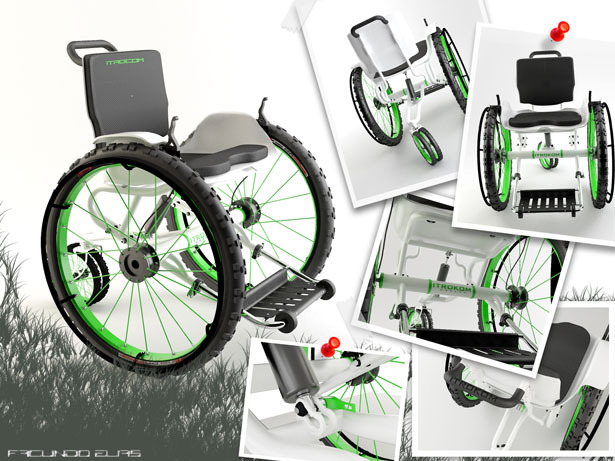 Tagged as conventional materials, facundo, next generation, seat pan, stable position, traveling at high speeds, wheelchair design. No room for the carer's feet when pushing the chair. 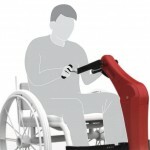 The rear wheels will interfere with the carer's feet. 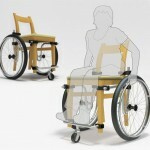 By the looks of this chair it is built for active chair users who can self propel. 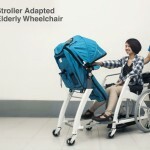 No "carer" required. 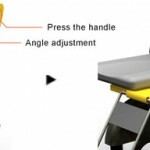 If you're looking for something that a "carer" can push then try Invacare or a chair that is designed for someone that isn't an active user. 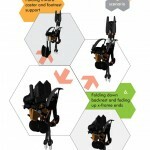 By the way, the word "carer" is pretty insulting to chair users. Personally I'd love to try this out, although it looks like you cant wheelie over obstacles, kerbs, rocks, etc. Good looking chair though, I wonder what material the frame is made from? 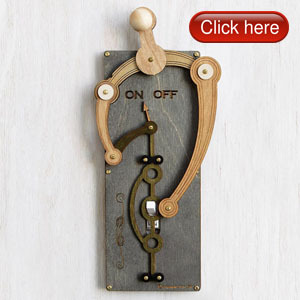 I don't know how can be used over stairs or other obstacles, I don't know how somebody can assist me when I have to pass over stairs up and down. Nice, but limited.